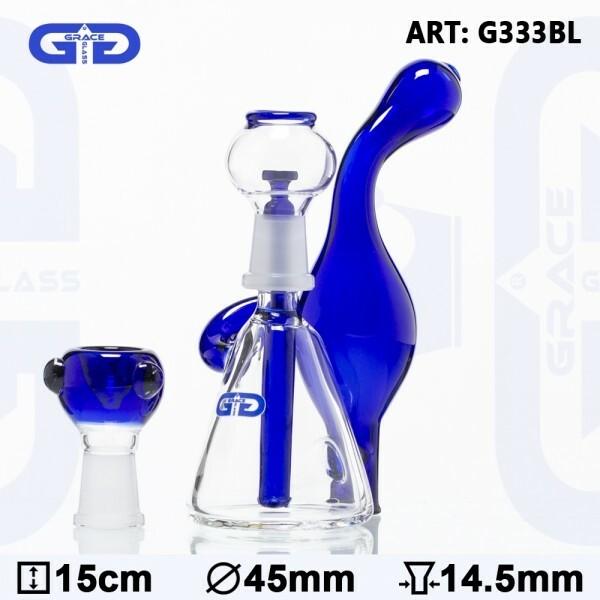 This blue Grace Glass Mini Bubbler Recycler is an extraordinary piece of glass artwork that will take you high! It is made of a high quality heat proof borosilicate glass, formed in the shape of a beaker base tube. You place your herbs on the 3 point detachable female bowl and your oil on the glass nail covered by a female dome. An adjoining chamber is used for the oil to condensate so as you can recycle it and use it again! The Grace Glass logo features on the main chamber.